Funky monkeys for your cheeky little monkey! 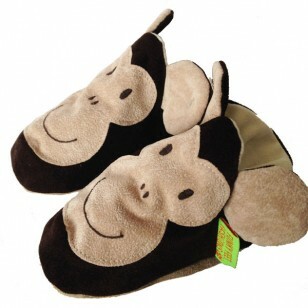 The cheeky monkey of the funky feet jungle, they make super soft baby shoes and cool childrens slippers. An ideal gift for new born babies, terrific toddlers, cruising children or kool kids.